BitTorrent is a popular file sharing method that has became widespread over the past few years for its ease of use and high transfer rates. It has accounted for 27% to 57% of all internet traffic. To make that number higher, Android torrent is now possible with DroidTor. At almost $3, the Android bitTorrent client is able to read and run any torrent files, storing them on the sdcard. I recommend downloading from a WiFi, as torrenting can easily use up all the data on your data plan. Android torrenting is now at your finger tips! 1. Install the application. 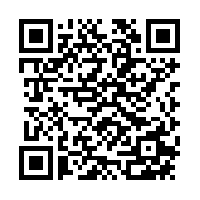 Scan the image below to download the application. 2. Download a torrent using the built in app search. 3. Click the menu button and select "Start Download". Restart the app and redo the process of it fails to download. 4. Use AstroFileManager, or any other file manager and open the torrent directly from the sdcard. Win a Free Angry Bird T-Shirt Giveaway! Android vs iOS - Which Should You Use? ?